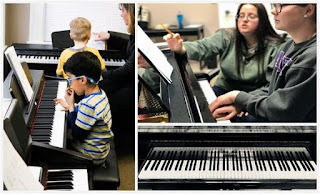 Franklin Matters: Encore Music Academy and Recording Studios presents Piano Lab! Encore Music Academy and Recording Studios presents Piano Lab! New class offered THIS TRIMESTER! Encore Music Academy and Recording Studios presents a new and exciting class ... Piano Lab!